We are normally every weekend in Mas Blanco. 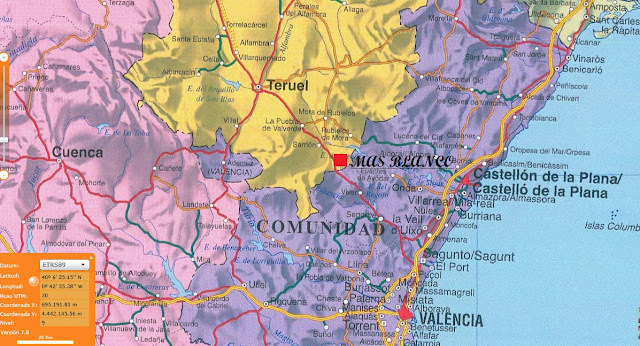 Mas Blanco is in the municipality of San Agustín, in the province of Teruel and the Aragon region, close to the border with the Valencia region. You can reach Mas Blanco by car following the A-23 motorway until the "Olba/ Venta del Aire", more less an hour from Valencia. You can arrive as well by train to the area, taking the Valencia-Saragossa line until the Barracas station.